When you are in need of water heater repair in Los Gatos, you can call on the expert plumbers at Rosenthal. We understand that you need your water heater to work properly so that you can focus on things that are more important to you. We would love to take the stress of the repair on ourselves, so you can spend your energy on these other things. When your water heater dies entirely, you know it’s time to call in a professional. However, some water heaters will let you know before they die that they need help, if you know what to look for. Spot these signs, give us a call, and you just might save yourself the hassle of a water heater that won’t heat. Pay attention to how hot your water gets and how much hot water you seem to have. If your hot water doesn’t seem as hot as it used to be, check your water heater settings first. These can get bumped or changed accidentally, which can cause your water to stop heating. If these are set where you want them and your water still isn’t heating well, call in a professional. Similarly, if your hot water doesn’t seem to last as long as it used to, it’s time for some water heater repair in Los Gatos. You can listen, too, to see if your water heater needs some help. It should work almost silently, without a lot of clunks or bangs. If you hear these noises, something has gone wrong and it’s time to call in a pro to check it out. 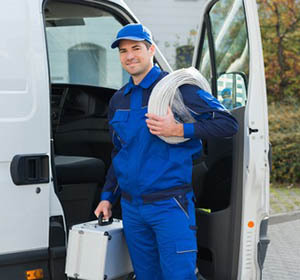 Whenever you need water heater repair in Los Gatos, call your friendly plumbers at Rosenthal. We would love to help you out!